A recent crop of TIME graduates with their mentors, ready for the next step in their careers. Expressions of interest for ambitious go-getters seeking to further their careers through real-world exercises and expert guidance are being invited to apply for the first 2019 intake of the Travel Industry Mentor Experience (TIME). 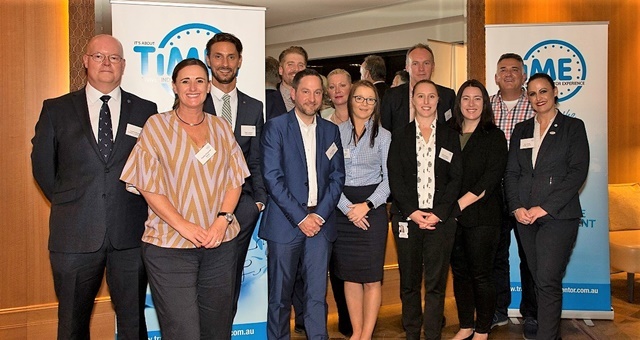 Entering its 10th year, the TIME program has grown to be recognised as one of Australia’s premier mentorship programs for travel and hospitality industry professionals. Applicants are assigned a mentor to work with them through the program – usually a very senior, experienced, accomplished and highly respected member of the wider travel industry executive ranks. Along with their mentor, applicants receive business skills training, support sessions and general guidance to help them develop their own careers, realise ambitions and achieve professional goals. Each program runs for approximately six months and aims to deliver agreed outcomes for each participant as opposed to adhering to a rigid course curriculum. Graduates continue to work within the program once the course has been completed, with exclusive access to workshops and networking sessions around the country along with the opportunity to remain in contact with their mentor and benefit further from their expertise and network contacts where applicable and appropriate. In 2018, nearly 40 members of the industry completed the program across several intakes. TIME Founder Penny Spencer said the program was truly national now with applicants coming from well beyond the Sydney and Melbourne catchment areas. “To see TIME mentees grow and develop so much professionally and personally through the six-month program is unbelievably satisfying. Expressions of interest for the first intake of 2019 are open until 21 January, with the 33rd program commencing on 13 February. Interested parties can email TIME Program Manager Marie Allom on time@travelindustrymentor.com.au or CLICK HERE for more information.